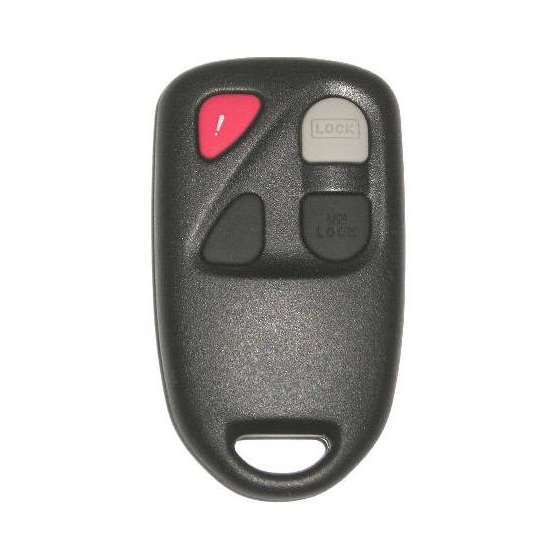 This keyless remote programming instructions work for remote with FCC id KPU41015 on the back of it. ATTENTION: Program all remote (including old ones) since the system will reset once it enters programming mode (See step 8). 1. Don't put any keys in the ignition. 3. Leave the driver's door open. 4. Put the key in the ignition this time, turn it ON and back to OFF then remove it. 5. Repeat step 4 twice. Make sure you remove key from ignition each time. 6. Press the driver door frame button 3 times (black rubber button in driver door frame that tells whether the door is open or closed.) If can't find this button just open and close the door 3 times instead. 7. Door locks will cycle (lock then unlock) or a chime will sound which means system has is in program mode. If not, wait 40 seconds and start from the top.